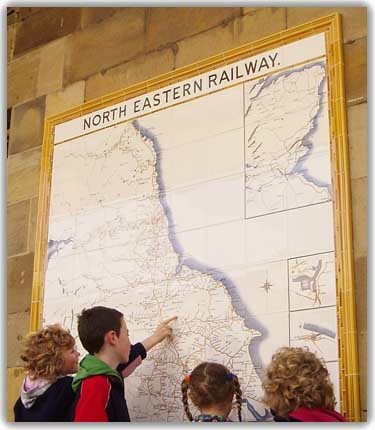 A handful of railway stations in the north of England still display a large, strikingly beautiful wall mounted map made of coloured, glazed, tiles. These are the survivors of several put up by the North Eastern Railway at the turn of the twentieth century. 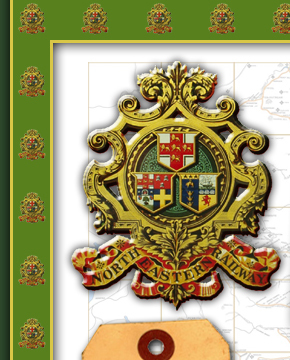 The tile maps showed the entire NER passenger system, and were made at Jackfield tile works – now part of the Ironbridge Gorge Museum – by Craven Dunnill and Company Limited. It’s rare to see one of these masterpieces without an admiring onlooker or two, perhaps being taken back to a lost era when passengers were carried to their seaside holidays in a train of varnished wooden carriages pulled by a handsome, gleaming old steam locomotive…..
You may well have been such an admirer, and wished, along with them, that you could own one of these beautiful Edwardian tiled maps.